Are you challenged trying to find just the right gift for someone special or the person on your list who seems to have everything? Why not give them an unique, handcrafted gift of a walk down Your Memory Lane™ with a personalized print filled with memories specific to the recipient? Everything you see in a Your Memory Lane™ street is a visual reminder of an important moment or memory, a cherished person, a memorable place, life event, or an monumental memory the recipient holds dear. Your Memory Lane™ provides museum quality art and is sure to become a treasured heirloom for generations to come. Don’t settle for a mass-produced engraved gift that will collect dust or spend years hiding on a closet shelf. Choose to give the gift of a walk down Your Memory Lane™ with a personalized print everyone will love. If it is worth remembering, it belongs on Your Memory Lane™. Call today for more information, 770-745-7225 or 248-522-7931. Scroll down this page for more details, pricing, and scheduling. The animated pop-up circles you see over various samples are enlargements to show you more detail. Anniversary, Birthday, Wedding, Retirement, Corporate Gifts... any occasion! Cully McLean and his staff artists creatively transform the "information list" that you provide into these museum quality art prints. Use them for anniversaries, retirements, birthdays, graduations... anything you want! Above: A youth hockey team chose a Your Memory Lane™ print as their season-end gift to their "Hockey Doc", who generously provided free physicals and medical assistance throughout the year. Your Memory Lane™ art prints are custom made for the recipient from the information you provide, each street is totally unique to the person, company, or organization that receives the artwork. A Your memory Lane™ street is a visual digest that celebrates the memories of yesterday, the joys of today, and the dreams of tomorrow. Unique and thoughtful, Your Memory Lane™ is a keepsake that will be appreciated daily and passed on for years to come. Take a stroll down Your Memory Lane... Give the gift of Memories! Our museum-quality artwork is proudly displayed on the walls of many homes, offices, and corporations around the world. When you order a personalized street from our talented artists, you'll get artwork that's met with a smile and a flood of fond memories every day. Commemorate a special event, celebrate the life and accomplishments of the recipient, and become an instant gift-giving-hero for selecting the perfect gift for any occasion. 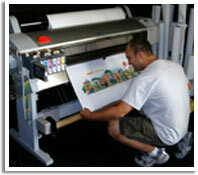 Call us today to get started with your street, 770-745-7225, or 248-522-7931 and read more about our prints. The ordering process is safe, secure, and easy as 1-2-3. Simply choose the desired number of buildings to be included in your artwork, sign up for a client account and fill out the information requested, and approve or request changes to your print when the preview arrives in your email inbox. Once approved, your artwork will ship to the address you specify. No complicated process, no hassles- just easy unique gifts delivered to your door. UPS Ground Shipping in the Continental US Included.